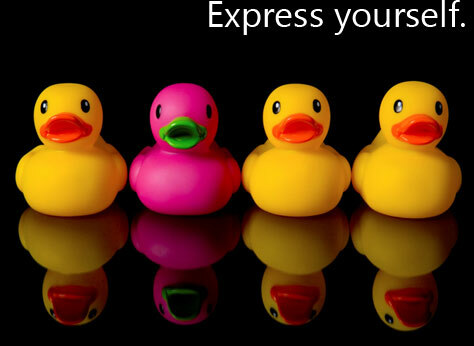 I don't know why, but I'm always a little shy and nervous about singing the Rubber Duckie song. 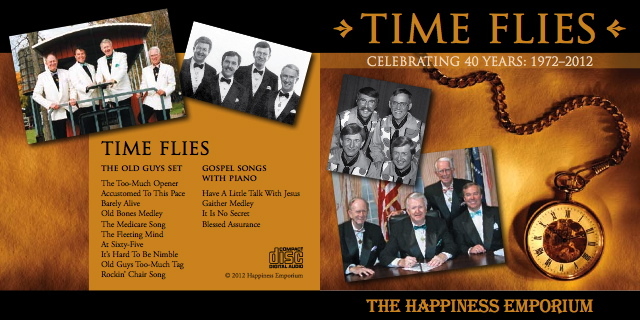 On our 40th quartet anniversary, 12/12/12, we released our latest/last album called, "Time Flies". 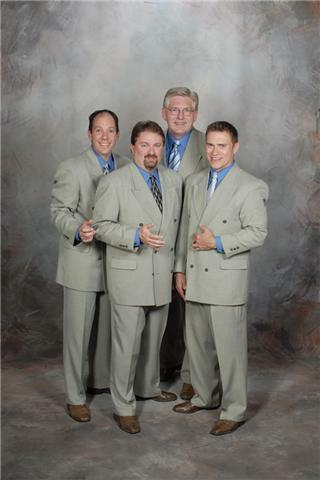 It contains our a cappella Old Guys Set and four new gospel songs with piano. 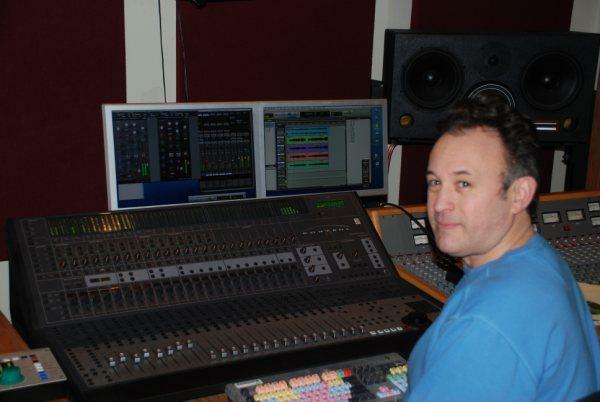 Craig Wasner was our recording engineer, the "Rockin' Chair Band" and our gospel piano player. Hot fingers, Craig Wasner. Craig is our keyboard player at gospel performances. Wow! 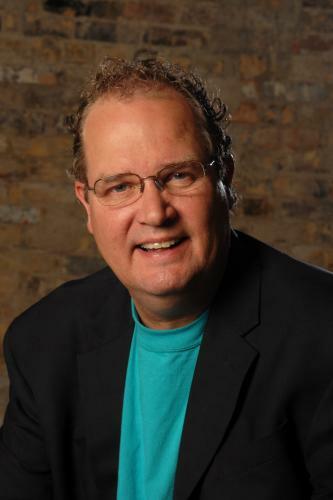 In addition to playing at our concerts, Craig has produced the instrumental accompaniment on our last three recordings, Golden Gospel, Golden Gospel II, and Time Flies, which was just released on our quartet's 40th anniversary, 12/12/12. He has his own recording studio, Wasner Audio, in Northfield, MN, which is where we recorded Time Flies. 2012 ADC (Association of District Champions) Show in Rochester, Minnesota, doing If I Were A Rich Man. 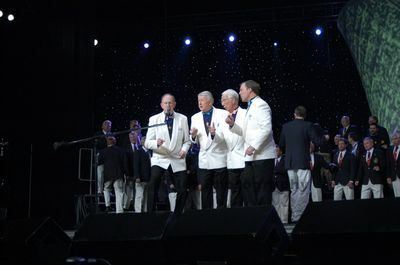 2012 ADC Show doing some of our old favorite songs. July 5th, 2012, 9:00-10:30 a.m. 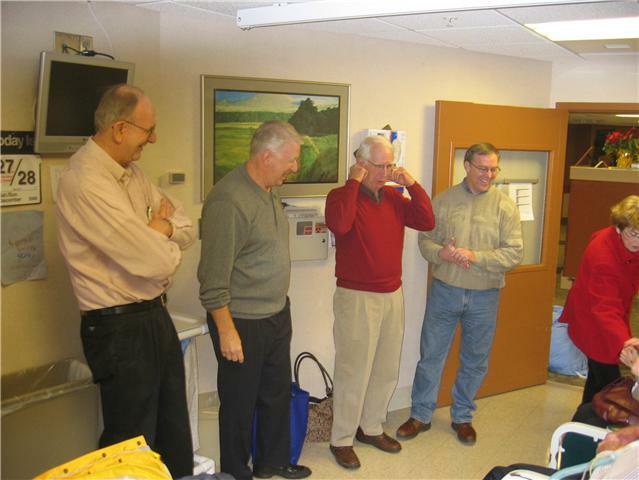 This was the site of the 26th annual Good News! Gospel Sing at First Presbyterian Church, in Portland, Oregon. This is the beautiful front of the sanctuary in the First Presbyterian Church in Portland, home of the Good News! Gospel Sing on July 5th, 2012. 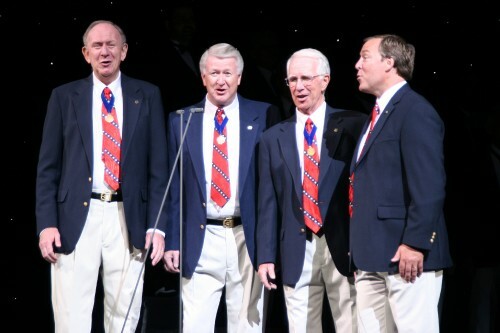 Singing onboard the Semester at Seas voyage through the Panama Canal and to the Central American countries. What an experience! Our hero, Mosie Lister! 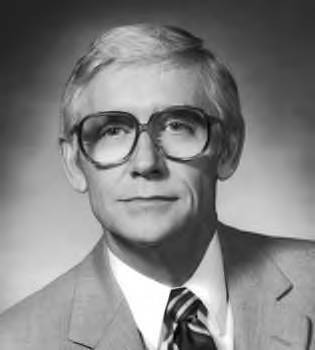 He wrote most of the songs on our Golden Gospel album. Two of his songs, "I'm Feeling Fine" and "Still Feelin' Fine" were written 50 years apart. Mosie has done it all in gospel music; singing, arranging, songwriting, choir directing, publishing and just plain inspiring! Hey, who's the sailor boy with proud parents? It's Rod Johnson with Mom (Irene) and Dad (Percy). Here are the uniforms we wore for in the semi-finals during our championship run. They were designed by Bill Thornton of Dealers Choice fame. Here's the guy in charge of making us sound good in the recording studio. He is Matthew Zimmerman, and his studio is Wild Sound in Minneapolis, MN. 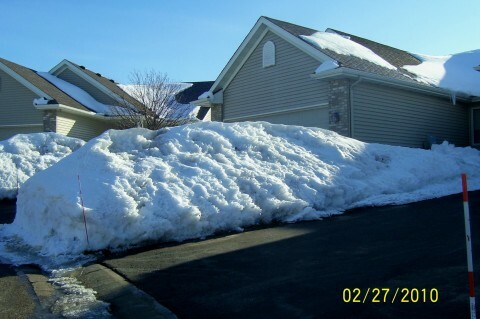 Did someone ask why Rod has a Florida home? Four dapper guys in period costume on an AIC Show. 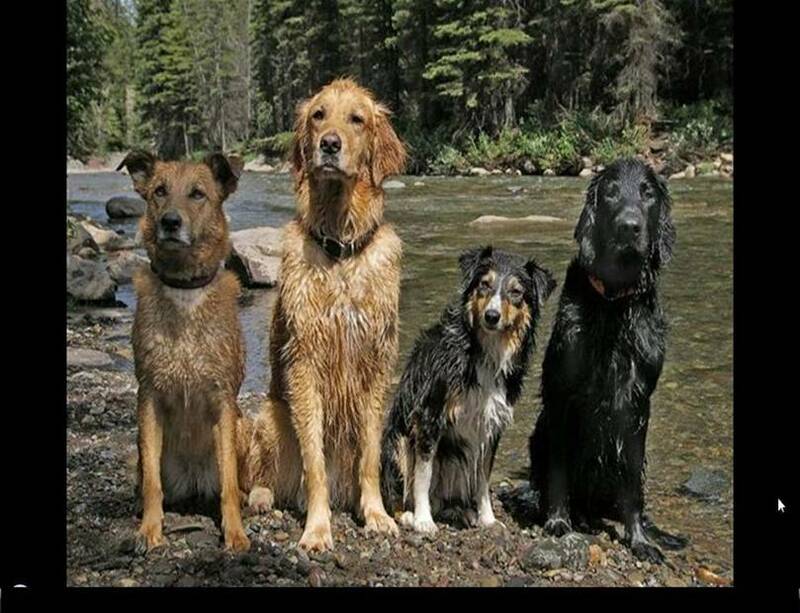 We even smell better than this quartet! 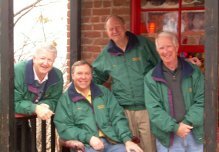 Here's a "cool" shot of the quartet while visiting the big city of Jerome, Arizona. You'll have to visit the city to see the "business enterprise" in front of which we were posing. Interior of the Good News! 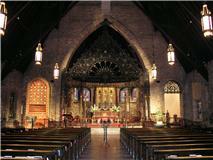 Gospel Sing site for year 2011 in Kansas City, Grace & Holy Trinity Cathedral. 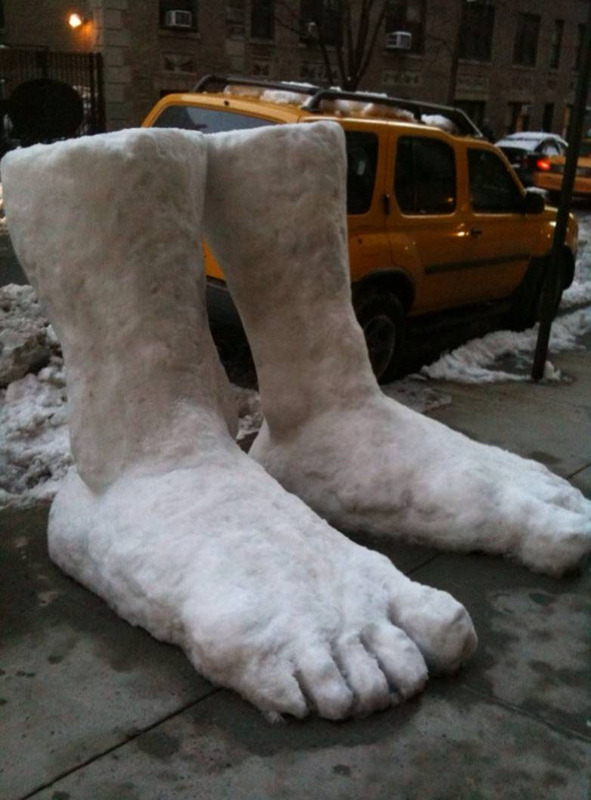 Do you ever not do something because you got cold feet? This takes it to a new level! 50 year BHS pin plus an unexpected bonus! 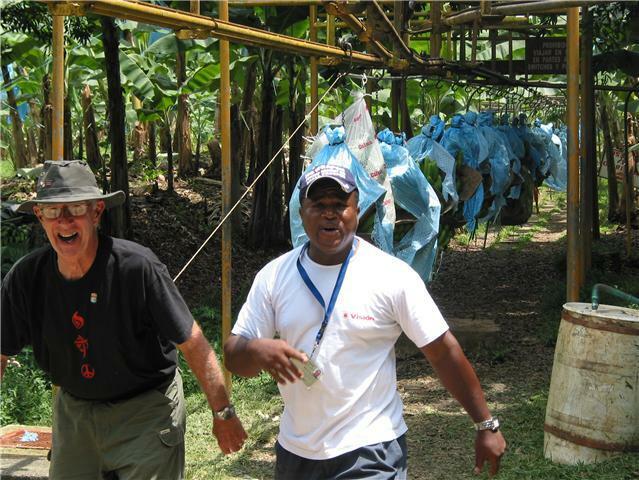 Whipping our banana puller into shape in Central America while on break from performing on a cruise ship. 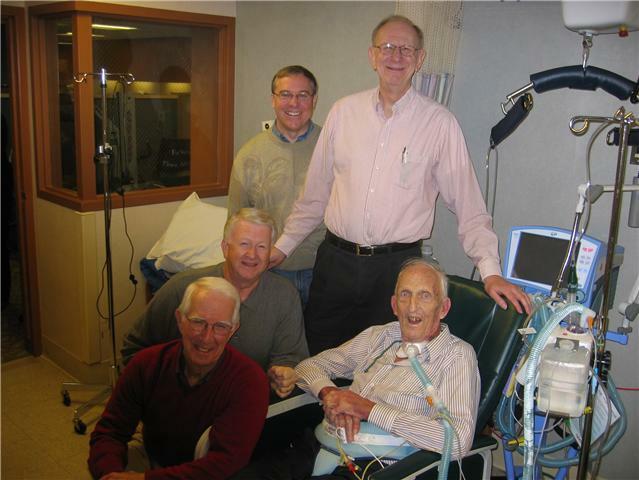 This is one of the last times we were able to spend time with our good friend Paul Nystuen. Paul was a big help each year at the Good News! Gospel Sing. That baton has now been passed to Paul's son, Tom. 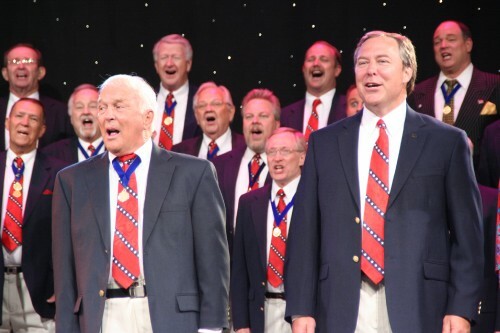 You'll see Tom and his wife, Wanda, each year at the Gospel Sing "doing things"! We're there to lift Paul's spirits, but look who's telling the jokes! Jim Foy's new great grandson. Looks a wee bit Irish, wouldn't you say? Another of the newest (and sweetest) Foy clan, Miss Molly Grace. The Foy twins are already showing that Irish fighting spirit! Can you guess who's who? Upper left, Jim Foy. Upper right, Bob Dowma. Lower left, Rod Johnson. Lower right, Rick Anderson. 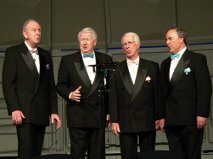 This excellent Sweet Adelines quartet, Expressions, attended the Land O' Lakes District Harmony College in Clear Lake, Manitoba. 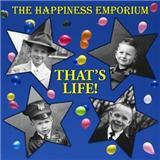 The Happiness Emporium was on the coaching staff, and we enjoyed singing with them on the Saturday night show. Central Presbyterian Church will be the site of the 2007 Good News! Gospel Sing in Denver. The date will be July 5th, and the time is from 9:00 to 11:00 a.m. The church is located at 1660 Sherman Street, which is 3 blocks northeast of the Adams Mark (HQ) Hotel. We look forward to seeing you there! This is a view of the sun-splashed interior of Central Presbyterian Church, the site of the 2007 Good News! Gospel Sing. 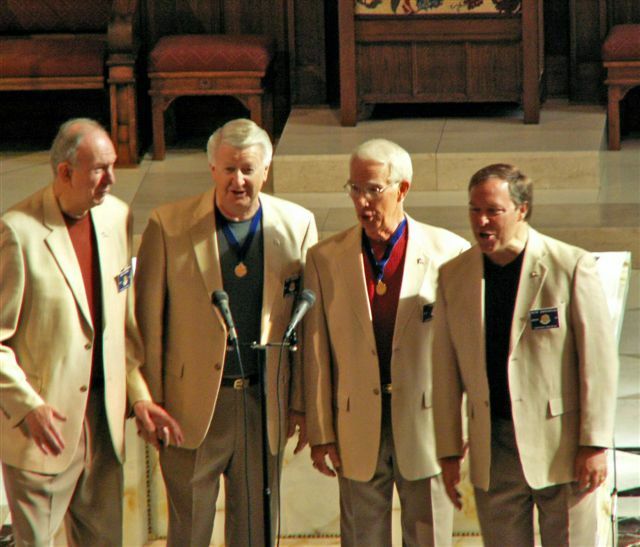 Let's warm this beautiful church up even more with some great barbershop gospel singing! See you there on Thursday, July 5th, from 9:00 to 11:00 a.m.
Saint John Catholic Church was the site of the 2006 Good News! 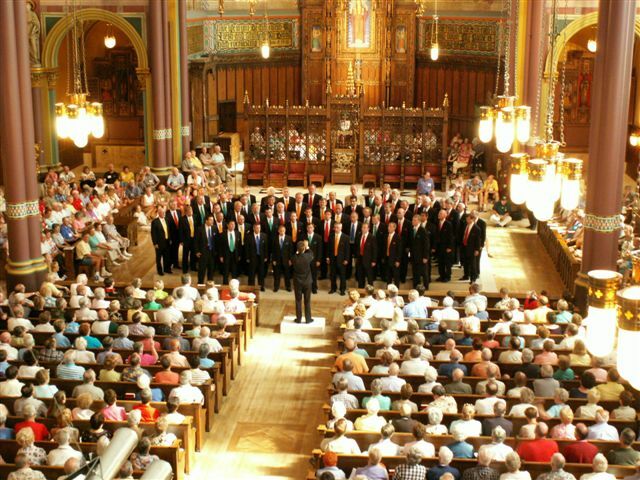 Gospel Sing in Indianapolis. It is across the street from the RCA Dome and the Convention Center. The address is 126 W. Georgia Street. 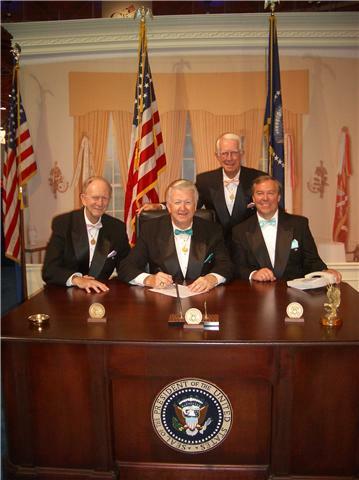 The date was Thursday, July 6, 2006, and the time was from 9:00 to 11:00 a.m. Inside from the rear of Saint John Catholic Church. Seating capacity is about 1,000 using the balcony and setting up chairs. No columns to obstruct views. Concerts are held in the church on a regular basis, and it is air-conditioned. This picture of Saint John Catholic Church was taken from the steps of the RCA Dome across the street. The Convention Center is directly across from the church and the parking ramp. Other major hotels are also very close. 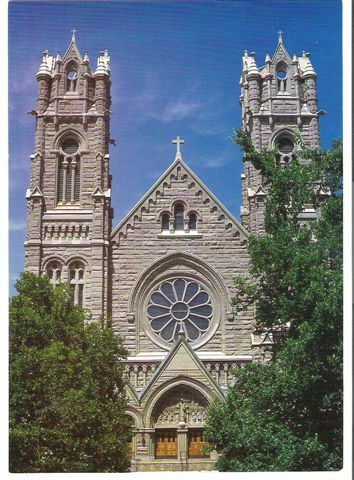 The Cathedral of the Madeleine in Salt Lake City was the site of the 2005 Good News! 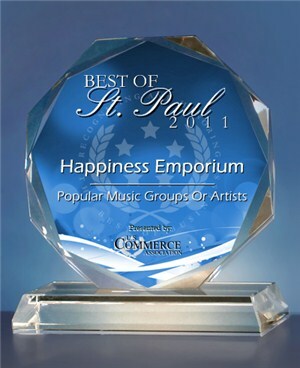 Gospel Sing, which was hosted by the Happiness Emporium (the Good News! 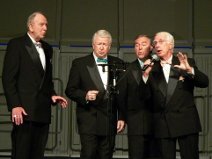 Quartet). Check the inside photos to see that it was a full house...plus!! The Chancellors are good friends from our gospel connections in the Twin Cities. Our guests at the 2005 Good News! Gospel Sing included the Great Northern Union Chorus. 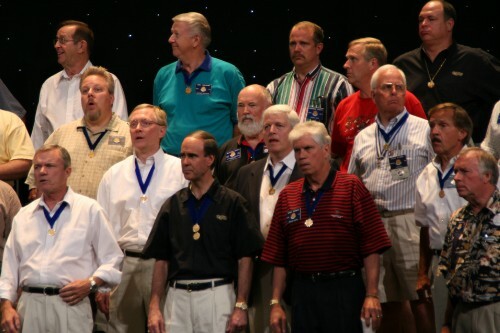 Later in the week they were once again winners of a bronze medal in an extremely tough chorus contest. Is that Bob Dowma in the back row out of uniform? 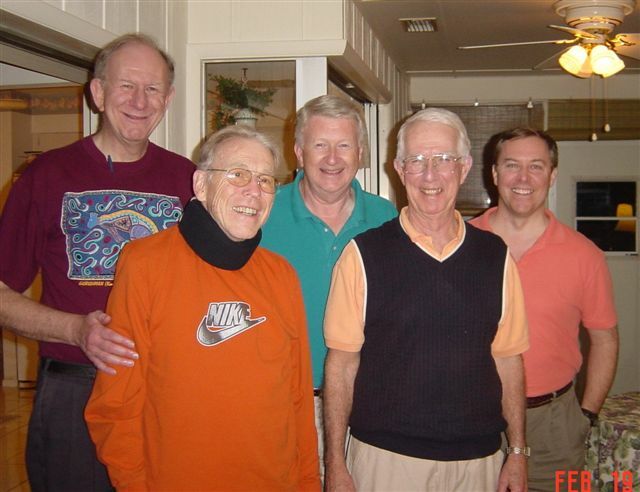 The Happiness Emporium with Glenn Van Tassell at his Sarasota, Florida home in February of 2004. We dedicated our newest gospel album, "Beneath the Cross II", to Glenn for his courageous and inspirational struggle with ALS. On September 13, 2005, Glenn's life on this earth ended. The Heavenly Choir is singing much better now. Thank you, Glenn, for all you meant to so many people. The Minnesota Twins' mascot, "T.C." 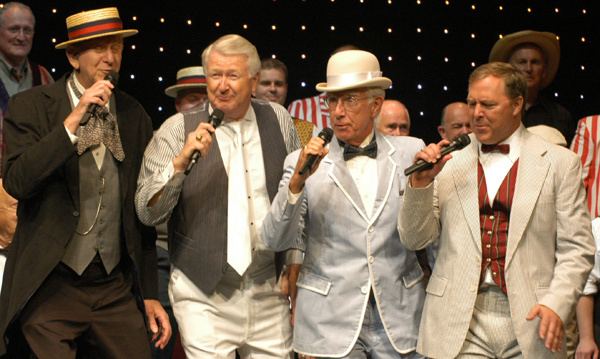 wants to join the act as the Happiness Emporium prepares to lead the fans in, "Take Me Out to the Ballgame." 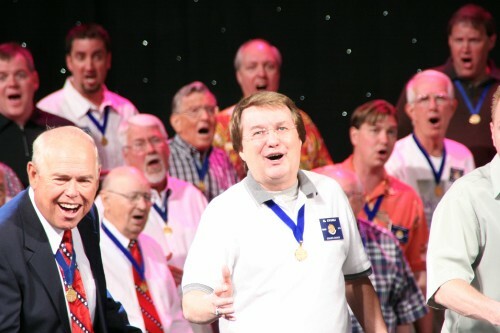 The Happiness Emporium is shown here perfoming on the 2004 AIC Show in Louisville, Kentucky with the AIC Chorus as our "high priced backup group." The H.E. did an impromptu performance at The Abbey Tavern while touring in Ireland. They just happened to have four mic's on stage for us to use. 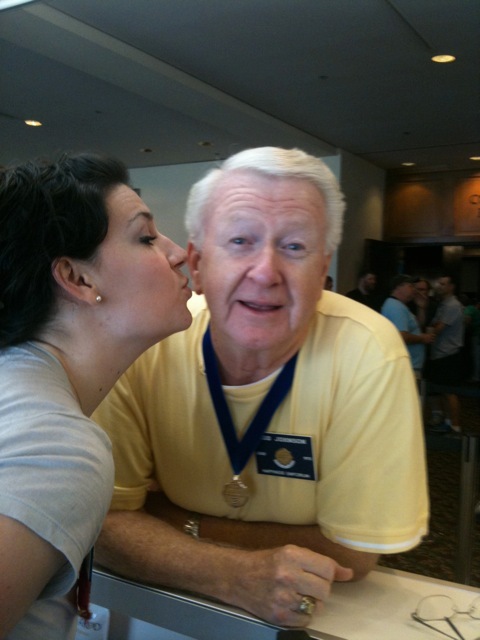 One of the benefits of performing is the opportunity to meet dignitaries. 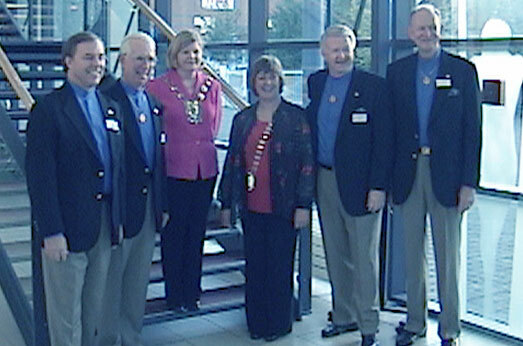 Here we are pictured, in October of 2003 during our tour of Ireland, with the Lord Mayor of Dublin and the Chairperson for the 15th Annual Irish Association of Barbershop Singers Convention. Performers were from the countries of England, Scotland, Wales, Sweden, Netherlands, Israel, United States and the host country, Ireland. We found Ireland (including Northern Ireland) to be a wonderful place to visit, with many outstanding sights and very friendly people. 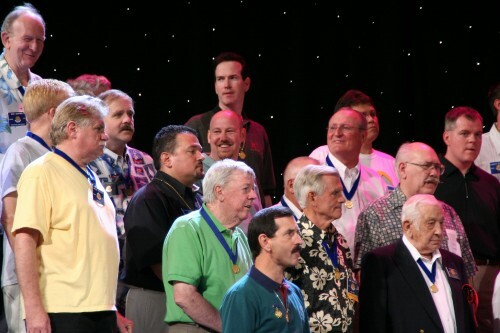 Can you find Bob Dowma and Rod Johnson in the photo? Hint... They're both tall, so they would be in the back row. 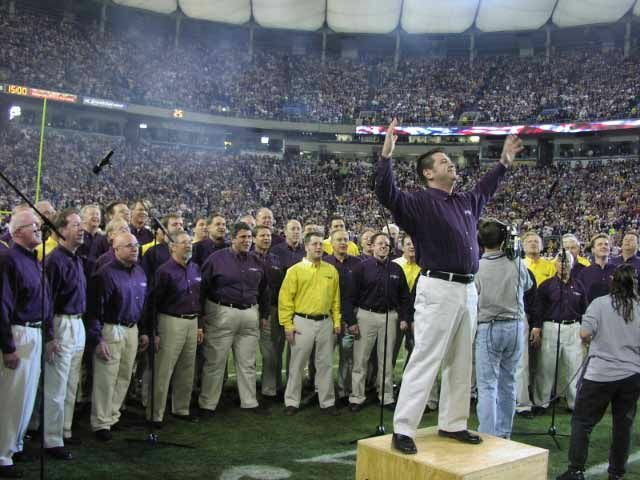 The picture is of the Great Northern Union singing the National Anthem at the 12/24/04 Vikings/Packers game. Cameo performance during 2005 AIC Show in Salt Lake City. 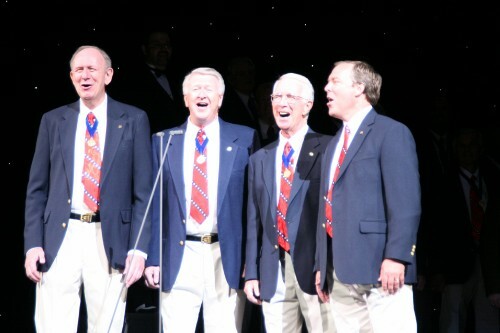 2005 AIC Show in our AIC Chorus blazers. Singing in the AIC Chorus in the LDS Conference Center. The theater was magnificent! Rick in the front row and Rod in the back row during 2005 AIC Show performance. 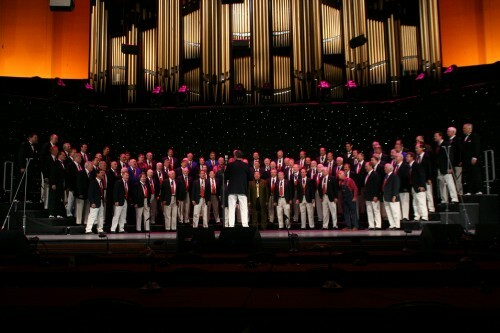 Rehearsing on stage for the 2005 AIC Show in Salt Lake City. Inside jokes and grins during AIC Show preparation. AIC vowel shapes seem to be working. The "fearsome foursome" teamed up at the HarmonyWorks Make-A-Wish Golf Tournament at the Elk River Country Club on August 8, 2005. Results? Not bad... 6 under par with 20 putts. Maybe there's hope! The bass cleff more than held up their end of the golf team. In fact, Rick eagled one par five hole all by himself! Jim's drives were much improved this year. His new driver must have cost him big bucks!! Don't tell Kay. The treble cleff practicing their golf gestures. The quartet sponsored a hole for the tournament, but couldn't find their own cart, so they bummed a ride in the Commodores' cart. Notice the Golden Gopher head cover on Rod's driver? Bob may want to buy the driver, but he'll likely wait until it's depreciated a little more. 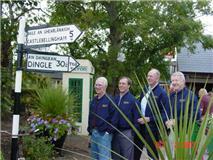 October 26,2013, after 41 years... That's all folks!